Sarah had such an incredible time touring the beautiful country of Brazil! 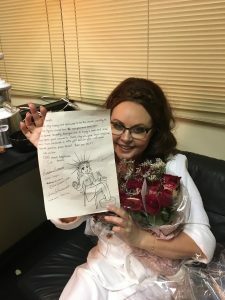 Many thanks to all the fans and a special thanks to Sarah Brightman Brazil (SBB) for this amazing drawing and beautiful flowers. Next stop — Peru!